'I really am so very, very sorry about this,' he says, in an oddly formal voice...They strike the side of a grain silo. They are travelling at seventy miles per hour. When a suitor visits, he understands far more than he should. Forced to run for his life, he escapes aboard The Porpoise, an assassin on his tail... So begins a wild adventure of a novel, damp with salt spray, blood and tears. An author of children’s and adult fiction as well as graphic novels and poetry, Mark Haddon is best-known for his bestselling 2003 novel The Curious Incident of the Dog in the Night-Time which won the Whitbread Book of the Year Award. His other work includes: The Red House, A Spot of Bother and The Pier Falls. 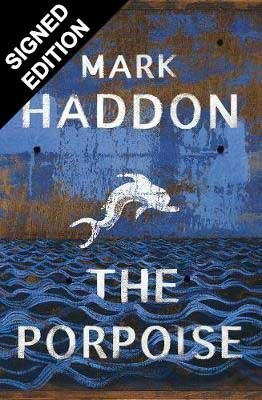 Multi layered with multiple time periods from modern times to the Shakespearean era to ancient times, Mark Haddon has created a vortex for readers to fall into.